How Much Programming Does a Web Designer Do? The web design industry is filled with various job roles, responsibilities, and titles. As an outsider perhaps looking to get started in web design, this can be pretty confusing. One of the main questions I often get from people is concerning the difference between a "web designer" and a "web developer". In reality, these two terms are often used interchangeably, and different companies expect different things out of their designers or developers. This makes it very hard to explain to someone what one role does versus another, or how much programming a "web designer" would be expected to do. If you're going to be a web programmer or developer, languages like C++, Perl, PHP, Java, ASP, .NET, or JSP will feature heavily in your daily workload. 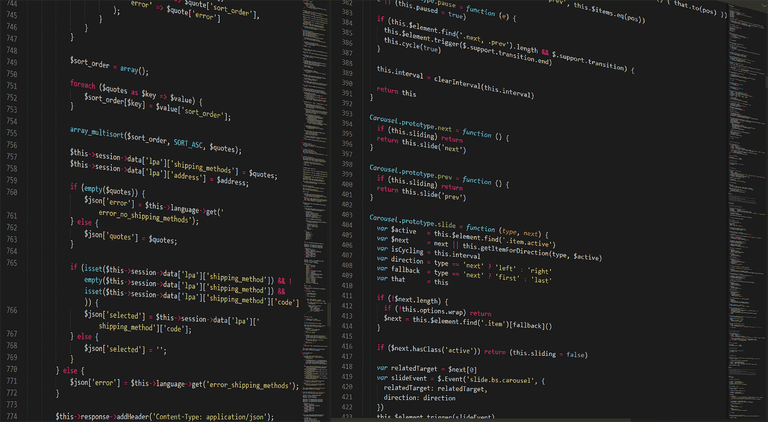 In most cases, designers and content writers don't use these coding languages at all. While it certainly possible that the person who fires up Photoshop to create a site's design is the same person coding CGI scripts, it is unlikely since these disciplines tend to attract different personalities and skillsets. In truth, there are lots of other jobs in the web field that don't require any programming, they have titles like Designer, Program Manager, Information Architect, Content Coordinator, and many others. This is encouraging for people who may be intimidated by code. Still, while you may not want to dig into complex coding languages, having a basic understanding of HTML and CSS is very helpful in the industry - and those languages are pretty easy to get started with and understand the basics of. What About the Money or Job Prospects? It may be true that a web programmer could make more money than a web designer, and a DBA would likley make more than both. Financally, web development and coding is in demand and with so many services using the cloud and other integrations like Google, Facebook, Salesforce, etc., there is no sign that this need for developers will lessen anytime soon. That all being said, if you do web programming for the money only and you hate it, you likley won't be very good at it, which means yyou won't make as much money as someone who really loves it and is very good at it. The same is true for doing design work or being a Web DBA. There really is something to be said for deciding what you are interested in and what you like to do. Yes, the more you can do, the more valuable you likely are, but you are better off being great at one thing than mediocre at a number of things! I've worked on jobs where I had to do everything - design, code, and content - and other jobs where I only did one part of the equation, but when I've worked with designers who don't code, usually the way we worked it is they would come up with the design - how they wanted the pages to look - and then I would work on building the code (CGI, JSP, or whatever) to make it work. On small sites, one or two people can easily do the work. On large enterprise sites and those with substantial custom functionality, larger teams will be involved in the project. Understanding where you fit best, and working to be the best at that role, is the best way to get ahead in the web profession.